Item # 313657 Stash Points: 2,495 (?) This is the number of points you get in The Zumiez Stash for purchasing this item. Stash points are redeemable for exclusive rewards only available to Zumiez Stash members. To redeem your points check out the rewards catalog on thestash.zumiez.com. 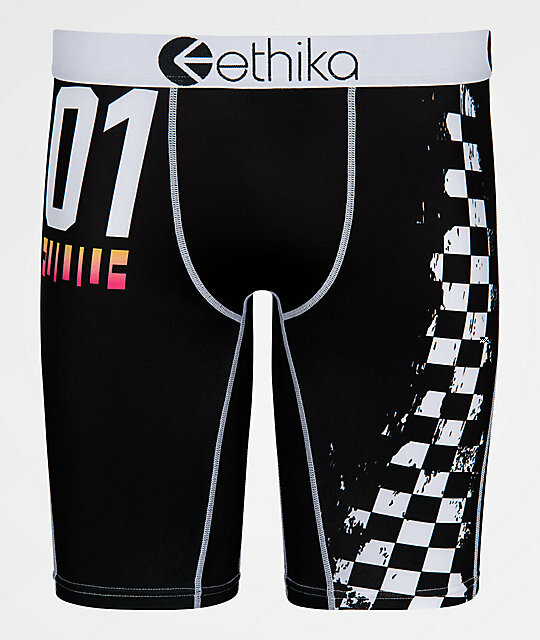 Add a race-inspired look to your underwear collection with the Finish Line Boxer Briefs from Ethika. These comfortable boxer briefs feature Ethika's famous Staple Fit, with a thick stretchy waistband, flat lock stitching, and ultimate breathability. 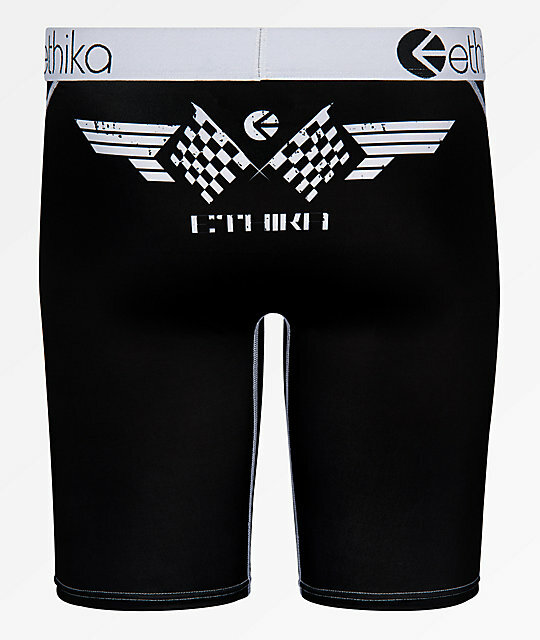 Screen-printed checkered flag and other race-inspired graphics are added to the seat and hips for a design that is soon to be your new favorite. 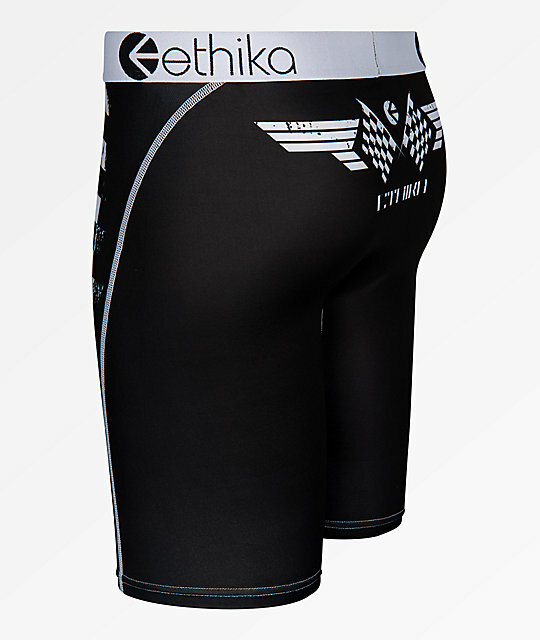 Finish Line Boxer Briefs from Ethika.